Description: Native to Southern Queensland and Northern New South Wales, this stately tree may reach 35 m in height. 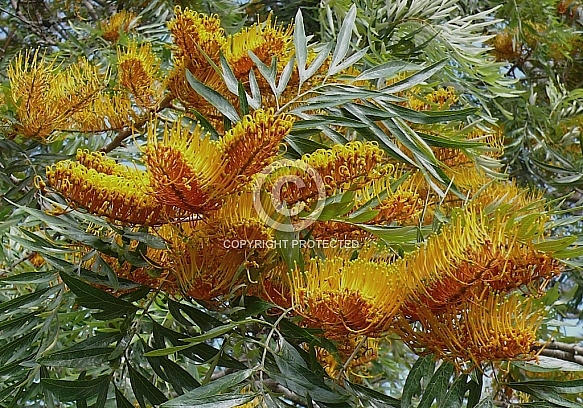 It produces massed displays of large, rich golden-orange ‘toothbrush’ flowers up to 12 cm long during spring. In Australia rainbow lorikeets descend on the flowers in flocks to extract the sweet nectar and when they move on, other birds move in. A fast-growing tree that is unexpectedly frost-hardy to approximately -8 ºC, although it becomes semi-deciduous under those conditions.